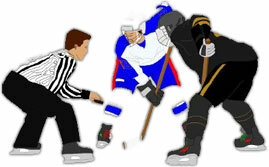 Hockey clipart and animations. 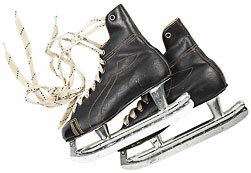 Including players, equipment, slap shots, stick handling, the wonderful world of hockey fights, goalies, pucks, men and women's hockey, signs, hockey celebrations, saluting the fans, face-offs, gloves and masks. Did I mention fights? A rush through the neutral zone. Goalie going thru his warm up drills. Goalie warming up for the game. 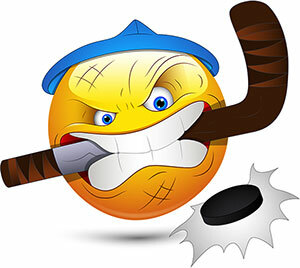 This is one badass hockey playing smiley. 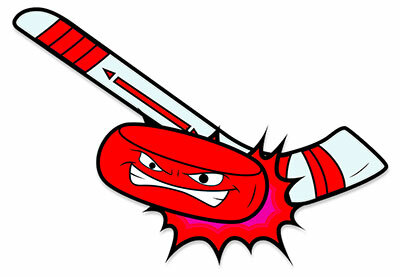 A red hot hockey puck. 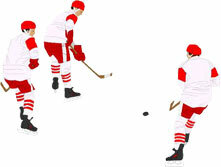 Hockey sign with sticks, puck and animation. Player saluting the fans after the game. Women players skating thru center ice. Taking fighting to a new level - stick fighting. 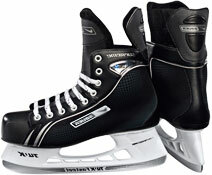 Player skating with the puck. 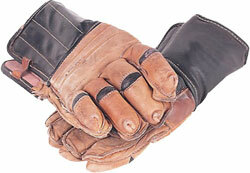 Black goalie mask with cage. 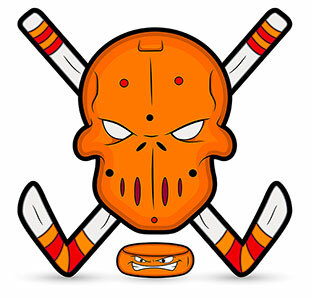 Angry looking puck and mask plus hockey sticks. Classic goalie mask blue and gold. 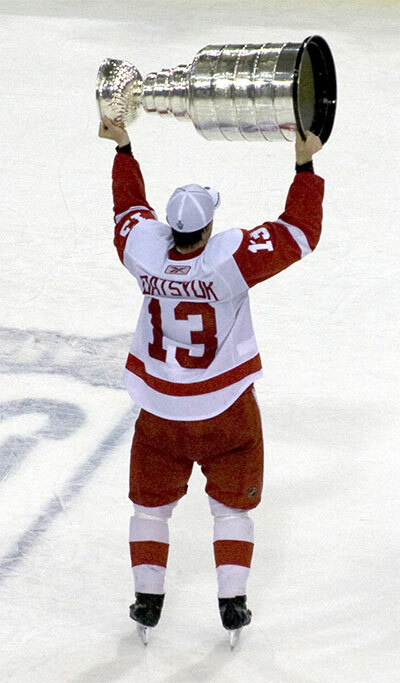 Pavel Datsyuk holding the Stanley Cup in 2008. 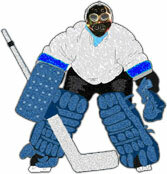 You may use our free hockey clipart to enhance your web pages.